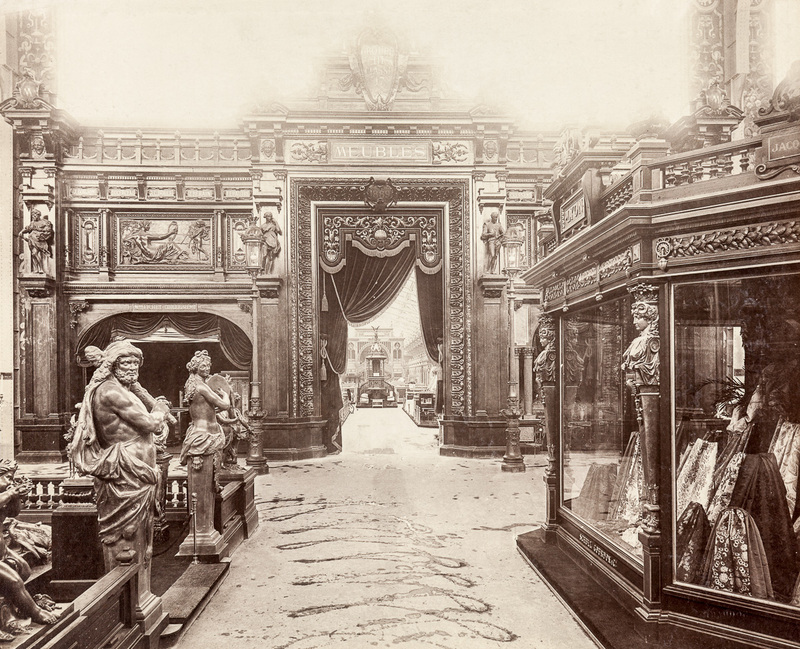 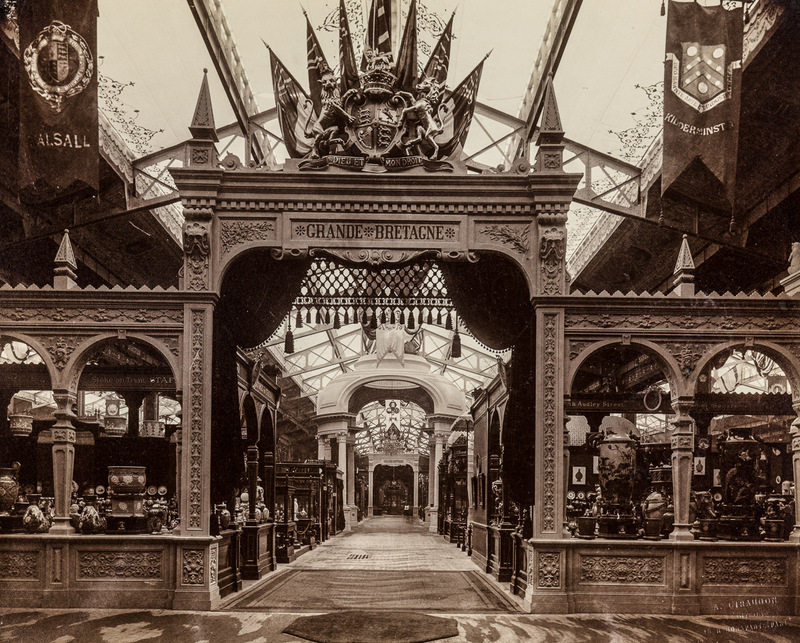 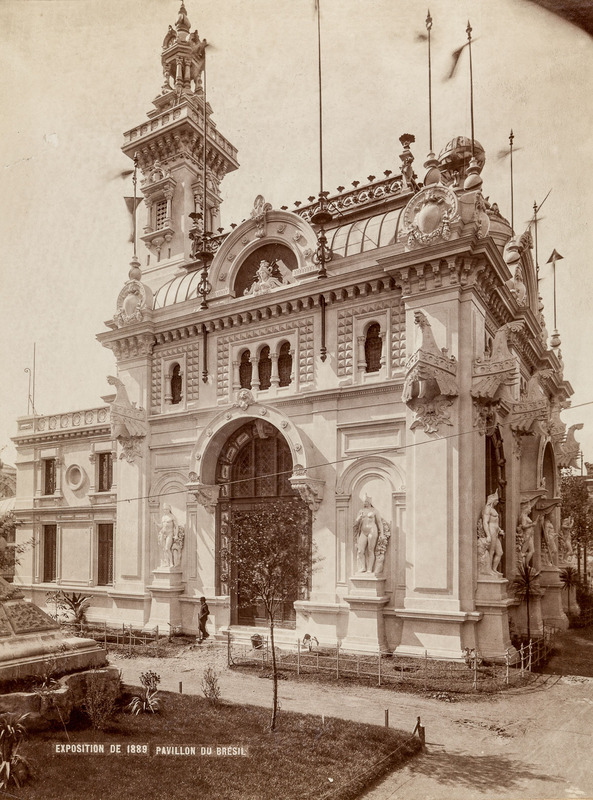 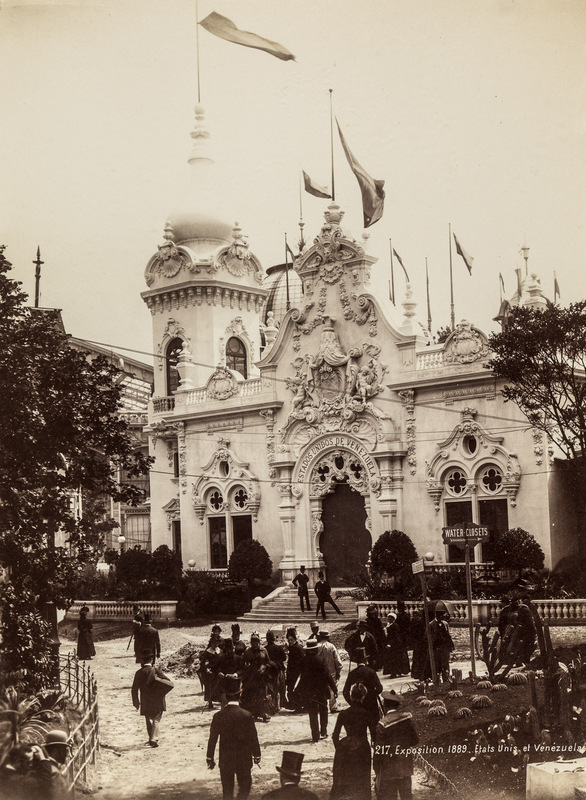 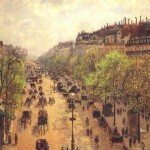 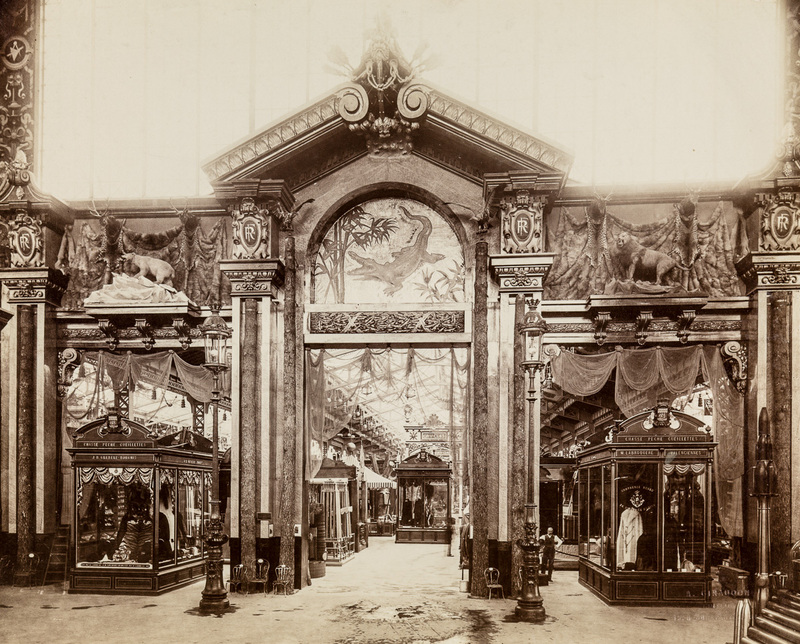 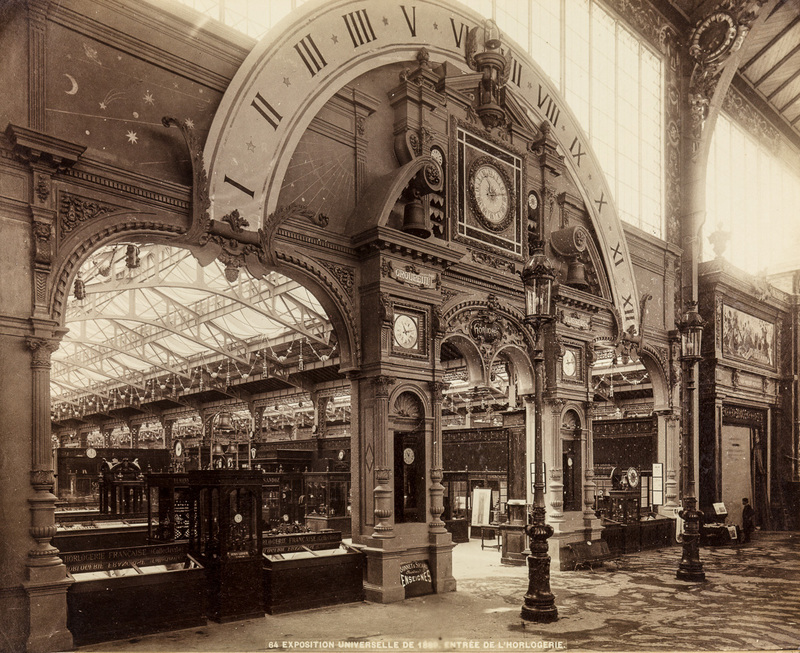 Fourth World’s Expo organized by France, the Exposition Universelle of 1889 (6 May to 31 October) was placed under the theme of “French Revolution”. 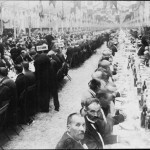 An international event that, in addition to celebrating the centenary of the Revolution, was intended to show the progress of the Republic. 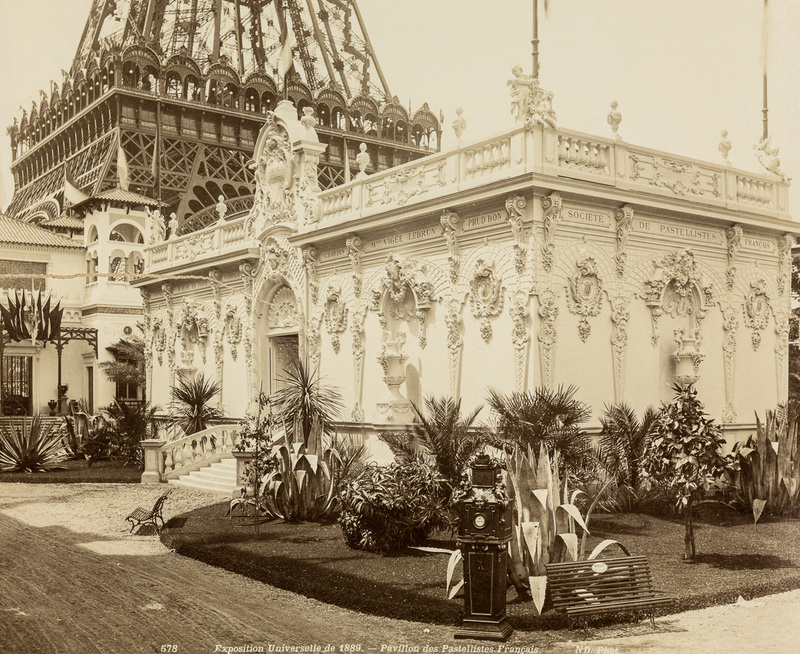 While the country indeed finds got back among the major world powers – challenged after economic crises, the Prussian invasion and the Paris Commune – the World’s Fair was an opportunity for the Republic to glorify both the french know-how and its colonial empire. 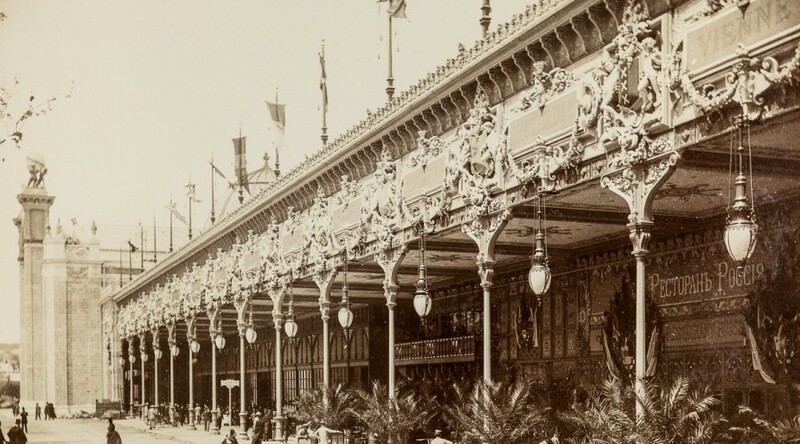 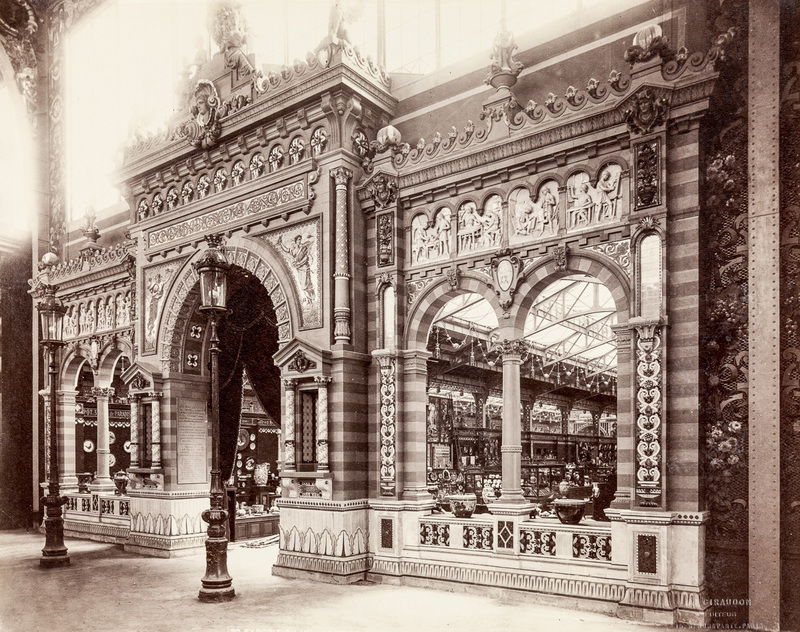 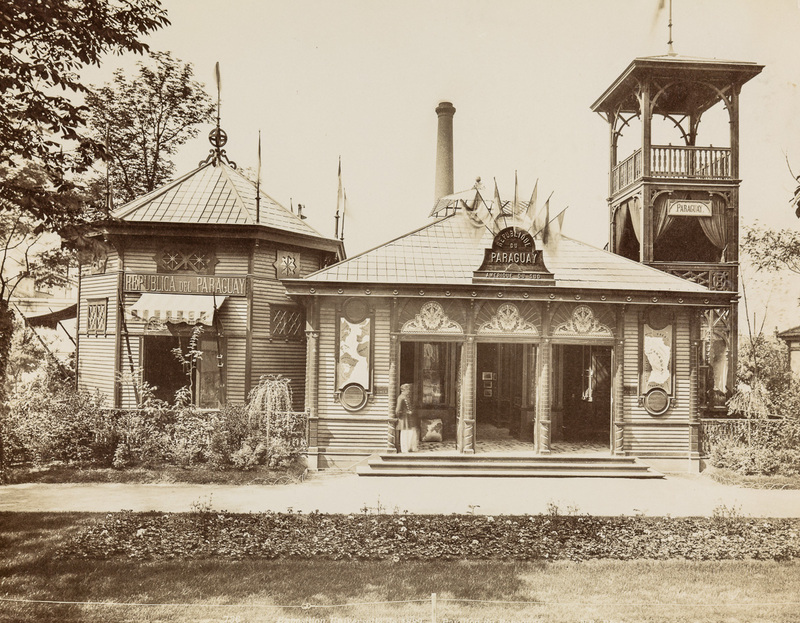 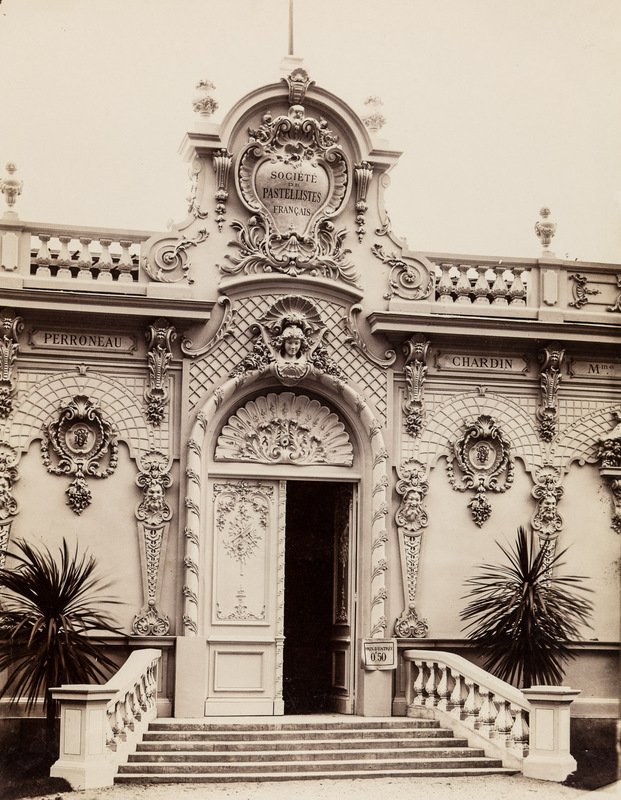 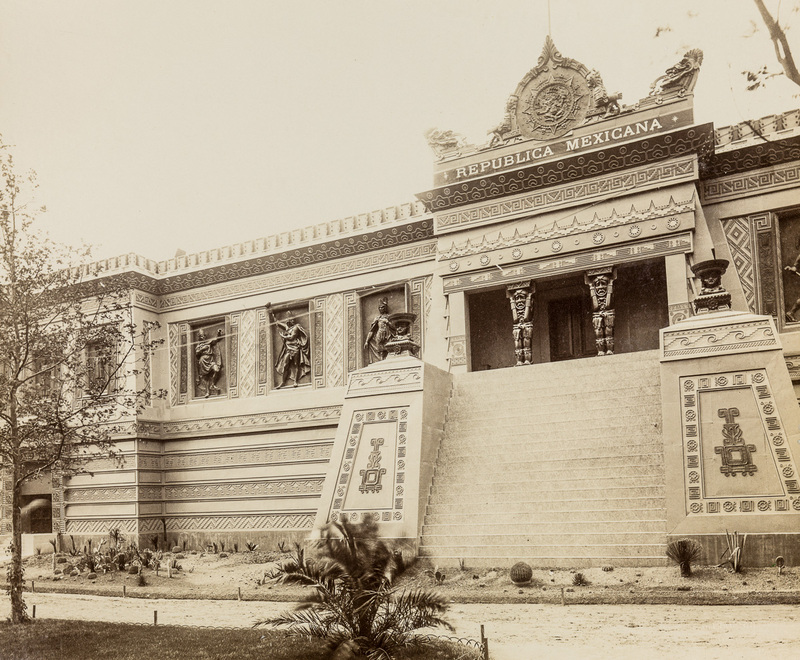 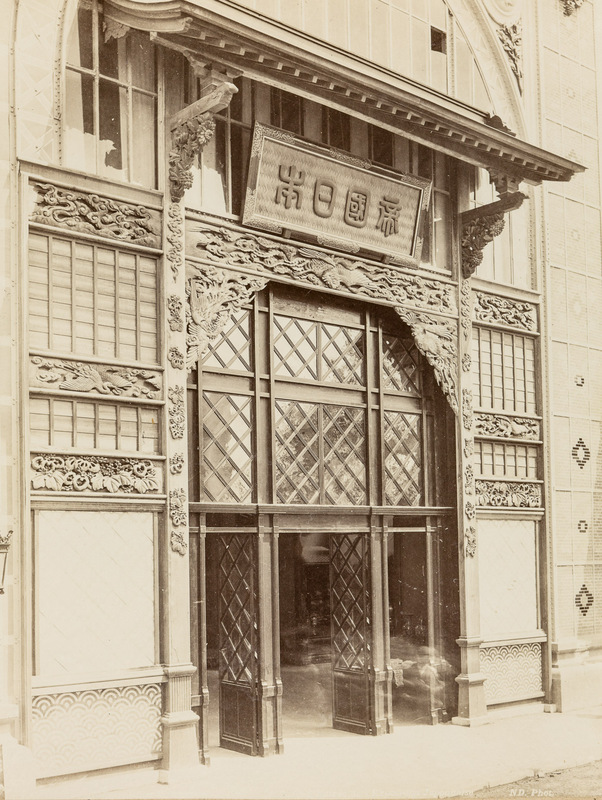 It was with the architecture of the pavilions and buildings specially built for the exhibition that France demonstrated his technique. 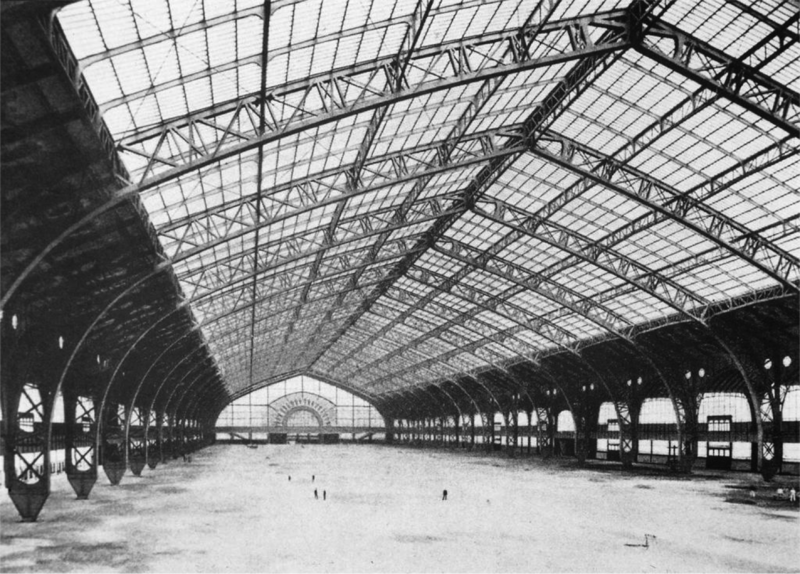 A praise of the industrial revolution that will devote the advent of metal architecture, the most shining example being the Machine Gallery, a vast nave of glass and metal of 420 meters long and 115 meters wide. 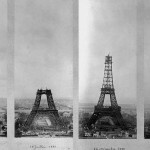 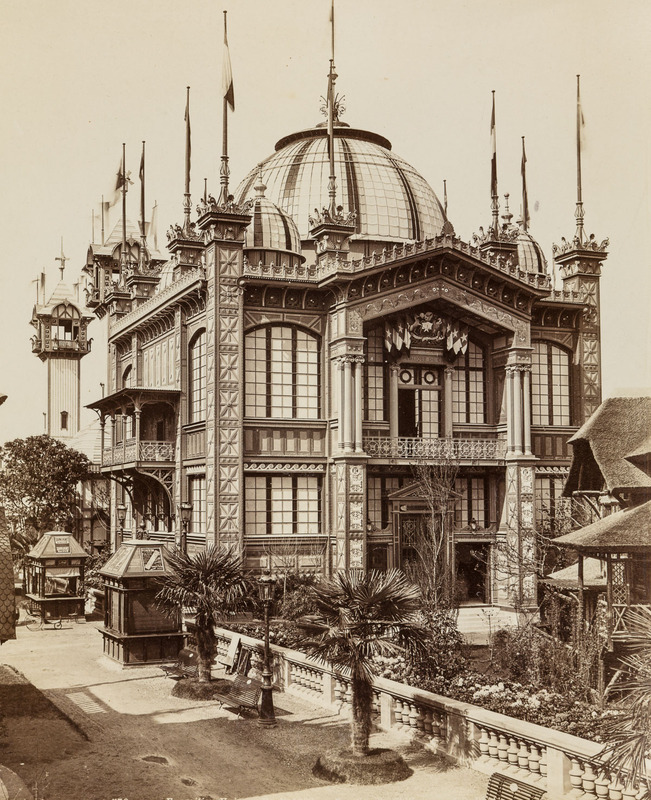 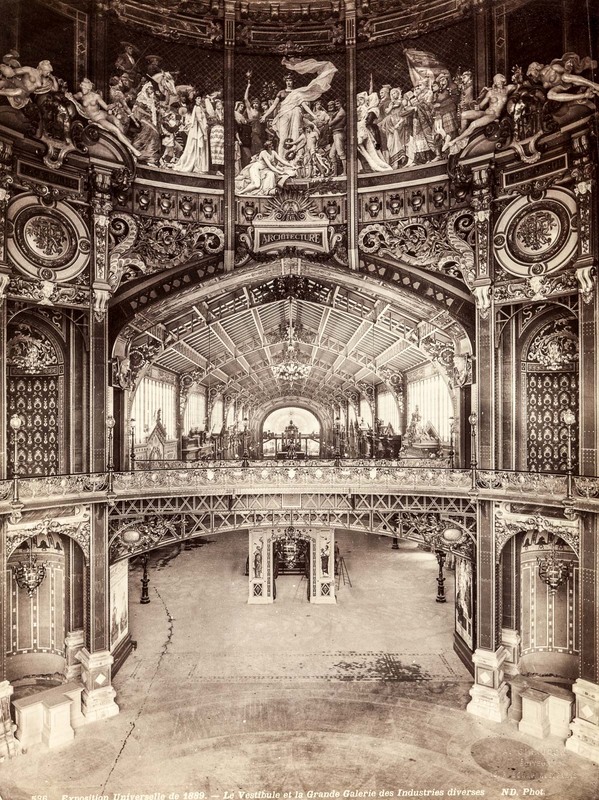 If this remarkable building has unfortunately disappeared, the Eiffel Tower, also built for the Universal Exhibition of 1889, is still the shining symbol of the triumph of iron architecture in the 19th century. 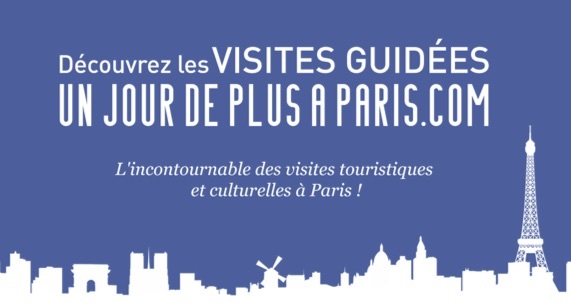 On an area of 96 hectares – at the Champs de Mars, the Trocadero and the Esplanade des Invalides – 35 countries will participate, bringing together 61,722 exhibitors and 32 million visitors. 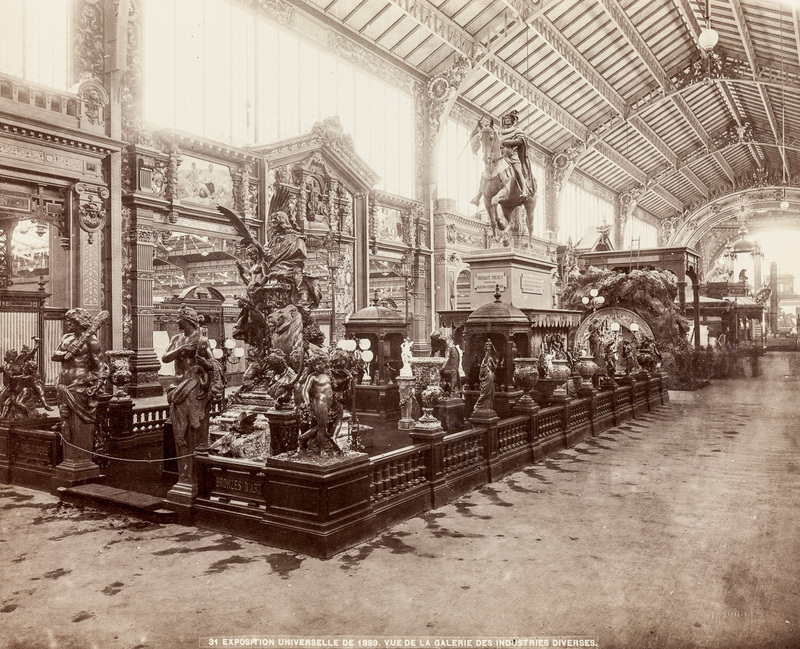 Visitors who admire for more than 5 months the French production and crafts, displayed in ornate galleries decorated with sculptures, ceramics and mosaics. 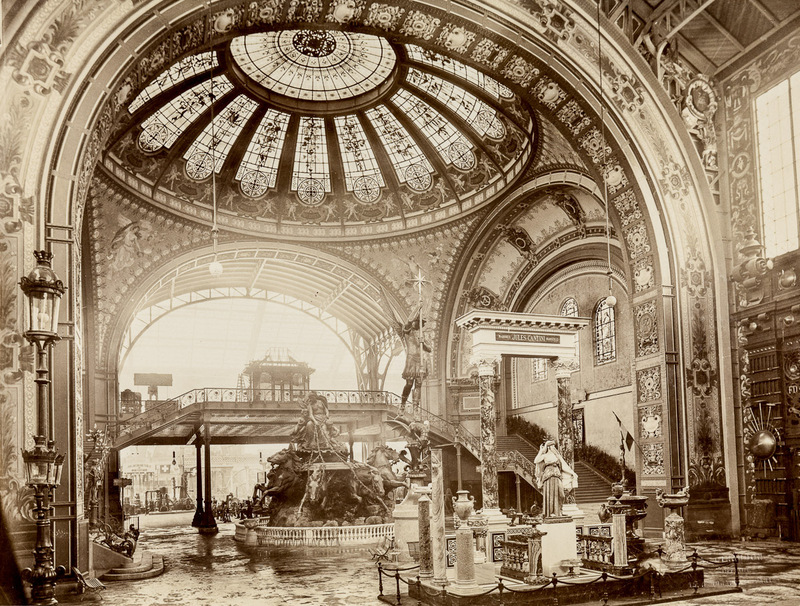 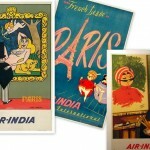 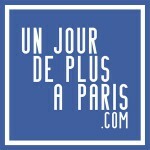 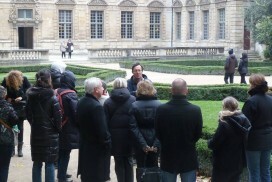 Control of steam, “Electricity Fairy”… This exhibition will also mark a turning point for Paris. 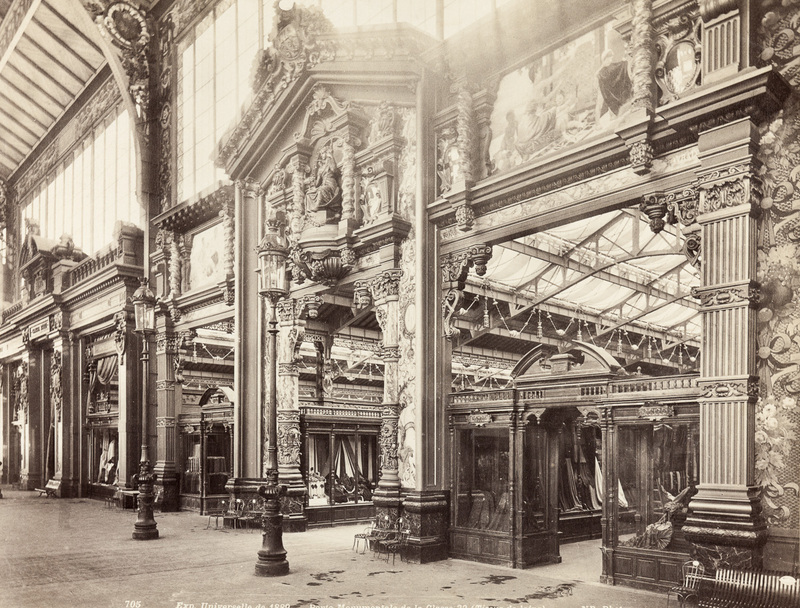 If the galleries exposed the extraordinary advances in industry, science and technology, they also impose a new way of living, between leisure, wellness, entertainment, and progress. 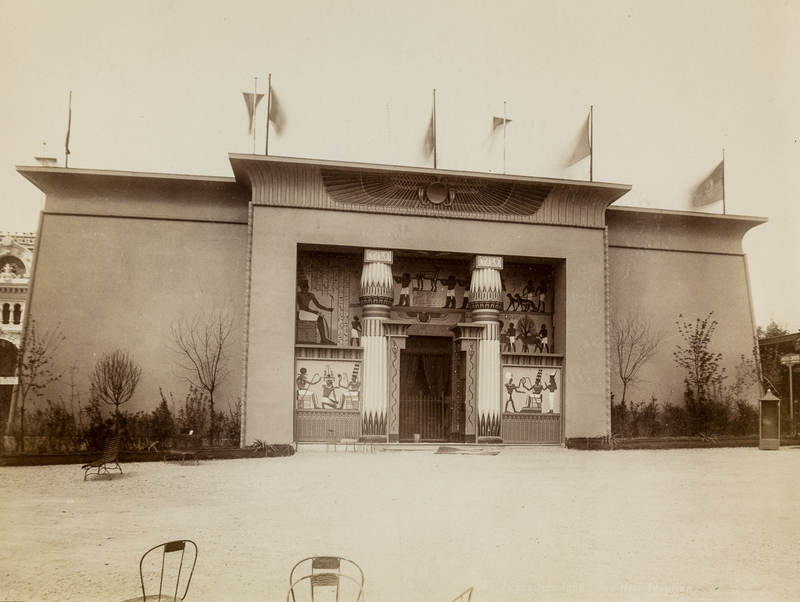 A way of life that will know its apogee during the 1900 World’s Fair, which will showcase Paris until the first half of the 20th century. 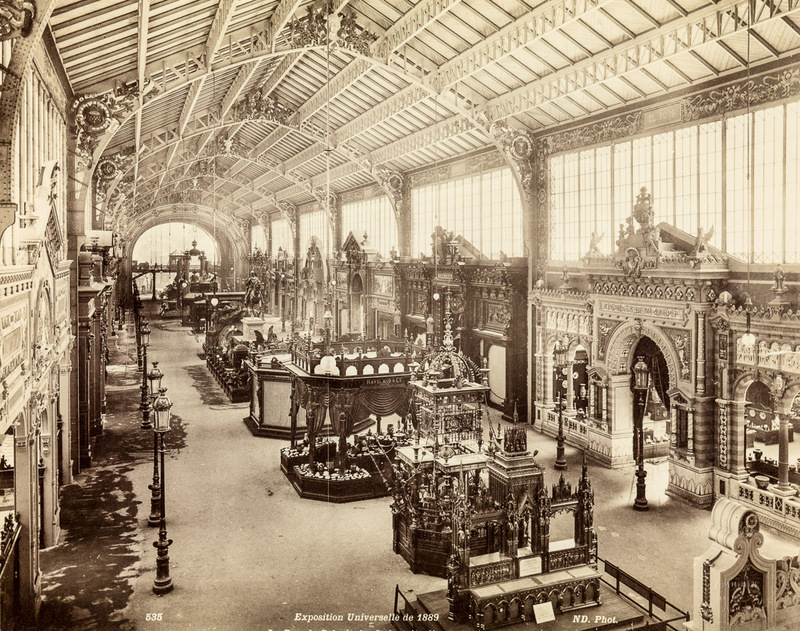 Besides the Machine Gallery, two major buildings serve as entry to the Exhibition and Galleries: The Central Dome and the Gallery of Various Industries. 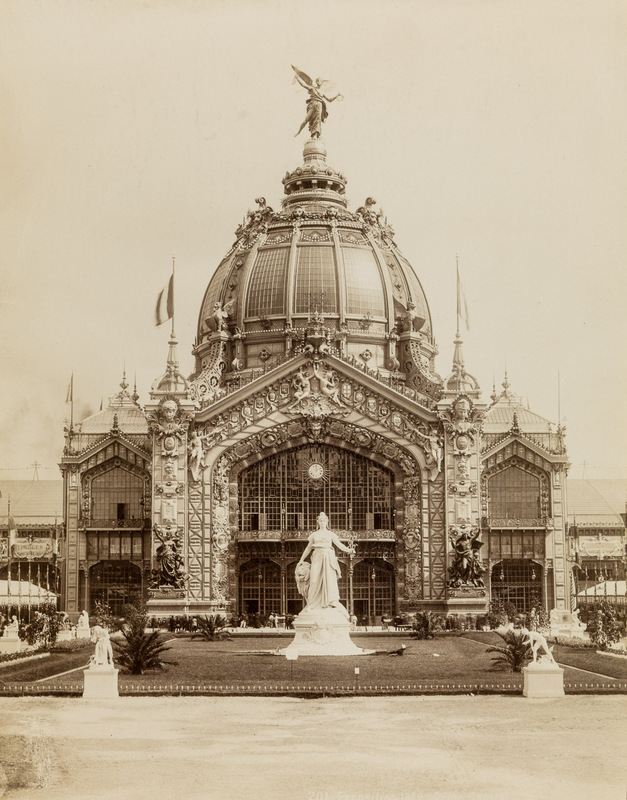 Main articulation between the various buildings of the World’s Fair, he was not used to exhibit works, but was intended , “to capture the imagination of the visitor”. 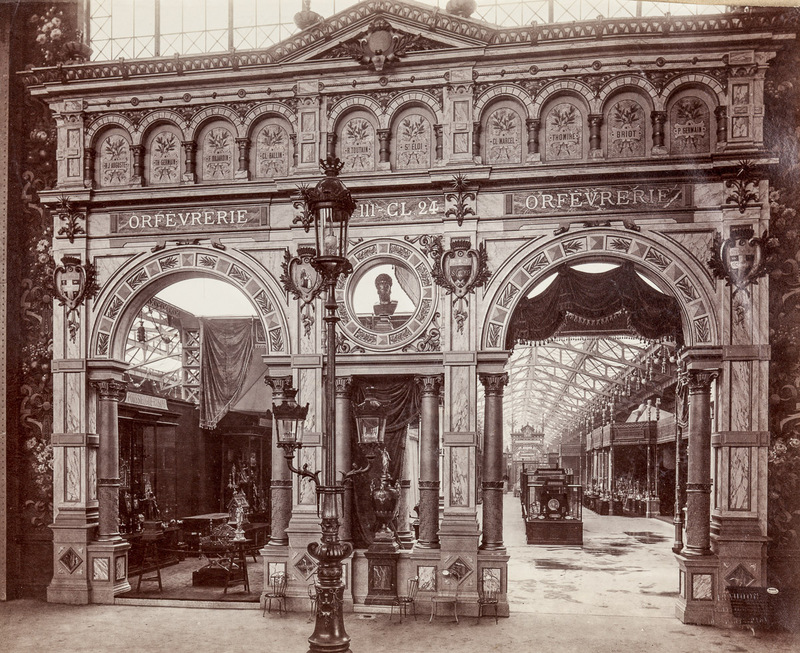 Connecting the central dome at the Palais des Machines, it was the gateway to the galleries. 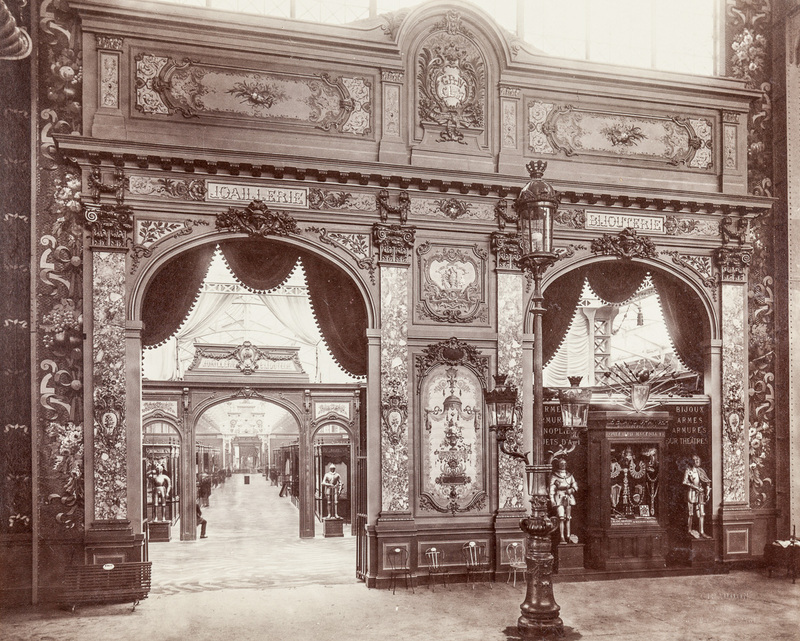 If European monarchies sulked the event, irritated by the celebration of the Republicans ideals, the economic issue was so important that the English, German or Italian sent to Paris industrial delegations. 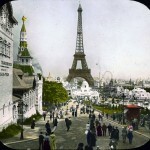 The young American republics were them massively present. 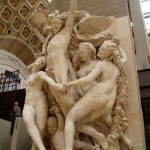 A way to break with the past by posing with France as the standard-bearer of republican values. 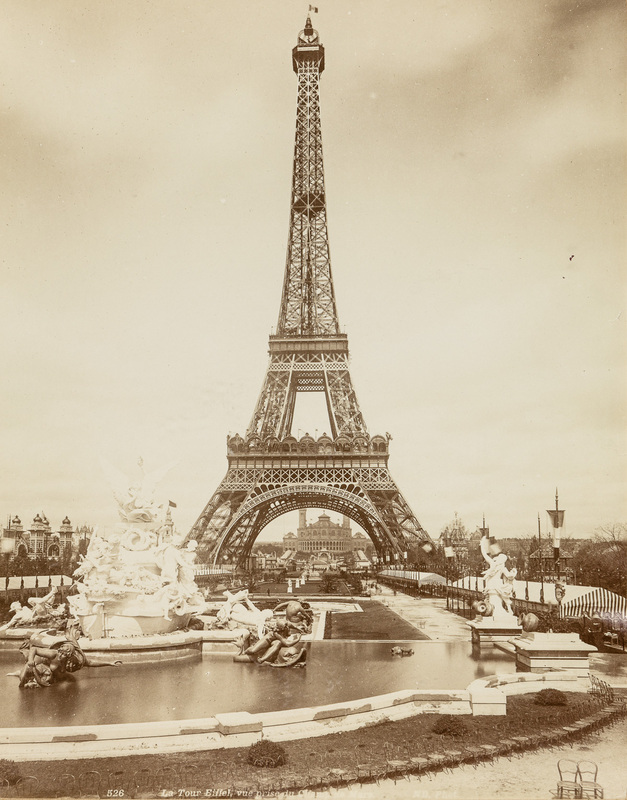 From May 6 to October 31, 1889, an event that will prevail under the theme of "French Revolution", metal architecture and republican values.